It has been an up-down-up movement for the Kiwi dollar over the last seven days. The most appropriate words to describe the Kiwi dollar’s recent performance in the curreny markets would have to be “resilient” and “resolute”, as it stabilises and corrects upwards from the 10 cent depreciation from 0.7400 in April to lows of 0.6427 on 8 October. As anticipated, the September quarter’s CPI inflation results last Tuesday at +0.90% was substantially above prior market expectations and caused the frist “up” movement in the exchange rate to 0.6600. The outstanding feature of the inflation numbers was that price increases are occuring across the economy, not just the well-publicised fuel price increases. The other take-out from the inflation outcome was that the RBNZ’s official forecast of a 0.40% increase was another serious forecast miss. On top of their earlier major forecast error for GDP growth for the June quarter, it does raise questions as to their reading of current economic conditions and their forecasting accuracy when they are so far wide of the mark with forecasts for time periods that have just completed. The financial markets cannot really have too much confidence in the RBNZ’s future forecasting accuracy with this sort of performance record. They have more resources than anyone to track and forecast the NZ economy, so it is diassapointing that their econometric forecasting models are seemingly so inaccurate. The NZD/USD quickly recoiled from 0.6600 when the minutes of the last US Federal Reserve monetary policy meeting were released mid-week. The US dollar strengthened off the back of the Fed’s economic analysis, reaching $1.1430 against the Euro. The Euro was also under downward pressures from Italian sovereign bonds selling off as the new “anti-establishment” government in Italy seeks to lever the EU authorities to accept their increased budget deficits. The NZD/USD rate pulled back to 0.6525, completing the “down” leg of the movement mentioned above. However, yet again, the USD could not sustain its gains below $1.1500 to the Euro and it has since returned to above that level. The Kiwi dollar’s subsequent performance to appreciate back to 0.6600 again, despite ongoing volatility in global share markets and lower dairy prices during the week, perhaps underlines how much the Kiwi was over-sold in the FX markets a few weeks back. As this column has stated on numerous occasions over recent weeks, the speculative Kiwi dollar selling has been exhausted and most of the punters are now seeking to take their profits by buying back their Kiwi dollars. A movement in the short-term above 0.6600 will see the NZD/USD rate break out the top of its of its downtrend line that has held in place since April. A move above 0.6600 will also see the spot rate break above the 50-day moving average line form a technical/chart perspective. Just how quickly the Kiwi can climb back to 0.6700 and 0.6800 will largely depend on USD movements against the Euro in the lead-up to the US mid-term elections. I still expect to see USD weakness in the forex markets on political risk factors surrounding a possible change of power in the House of Representatives to the Democrats and a very close battle for the control of the Senate. The strong US economy and labour market would not suggest a massive swing in voter sentiment away from Trump and the Republicans. However, it still appears to be a very divided nation with the current President causing most of the division! Previously the financial markets were pricing in a 50/50 probability of the next RBNZ OCR change being up or down. In contrast, the Australian markets were pricing in their next OCR as being upwards and the RBA were endorsing that expectation. The recent NZ inflation and economic growth data being so much higher than RBNZ forecasts has now shifted market sentiment to an increase in the OCR here and perhaps a lot earlier than most thought possible. Well, that’s what the NZD/AUD FX market is telling us with the higher Kiwi value at 0.9260. The AUD has been unable to make the recovery the Kiwi has due to weaker Chinese share markets and economic data weighing the currency down. As stated in previous columns, further significant weakness in the AUD against the USD below 0.7000 is not expected. 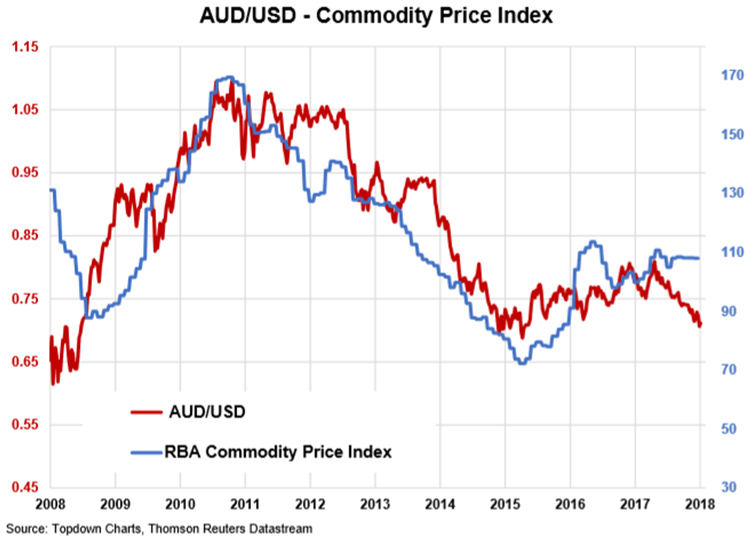 Their metal and mining commodity prices have not decreased over recent months and the close historical correlation between their commodities and currency value suggests the AUD/USD should be higher towards 0.7500 at least. The second reason why the AUD should hold above 0.7000 is the view that the Chinese monetary authorities will actively stop their Yuan exchange rate weakening above 7.00 to the USD. The Americans just stopped short of labelling the Chinese as currency value “manipulators” this last week, but the Chinese will not want to allow the US to use Yuan currency weakness as leverage over them in the trade battles. As the second chart below shows, the AUD/USD rate has closely followed the fortunes of the Yuan over the last 12 months. As a contra argument - for Kiwi Longs I would be concerned. The Kiwi has now had multiple opportunities to rally over the past month with higher GDP and inflation figures and yet we are still sitting at just .01 cents above it's recent lows. That the currency has not rallied harder when given the opportunities basis economic figures - means that why some punters are squaring up positions, it has also attracted fresh selling interest. All in all, the Kiwi is balanced to either break through the 66 barrier with conviction or alternately it is setting itself up for the next leg down to sub 64.
grant936 makes some fair technical observations. 1) Stated by Roger above: "The outstanding feature of the inflation numbers was that price increases are occuring across the economy, not just the well-publicised fuel price increases"
Ummm an increase in fuel costs will affect the entire economy. What businesses are not affected by an increase in fuel costs? What product is purchased by a consumer that has not been delivered somewhere? 2) Again stated above "The financial markets cannot really have too much confidence in the RBNZ’s future forecasting accuracy with this sort of performance record". Sorry but who has a good forecasting ability? Forecasting is not science it is guessing. It may be an informed guess, but no one can predict the future, and central banks in particular are terrible at forecasting. Further Roger says before that "As anticipated, the September quarter’s CPI inflation results last Tuesday at +0.90% was substantially above prior market expectations and caused the frist “up” movement in the exchange rate to 0.6600"
So someone anticipated that the markets were going to be wrong and the Reserve Bank was also wrong? So everyone was wrong aside from whoever anticipated they were all going to be wrong? I assume that was Roger himself, it is not made clear who anticipated this. In any case the central bank was wrong and the market (by which I guess they mean the usual head economists of various institution that they ask these questions) were also wrong. This is surely unsurprising given that most forecasts of any future event are wrong. It is very difficult to predict the future, and most likely impossible. Anyone who thinks different is going to get kicked in the pants by chaos theory again and again and again. Nothing new here, economist hubris overlaid with central bank hubris. As you were everyone. 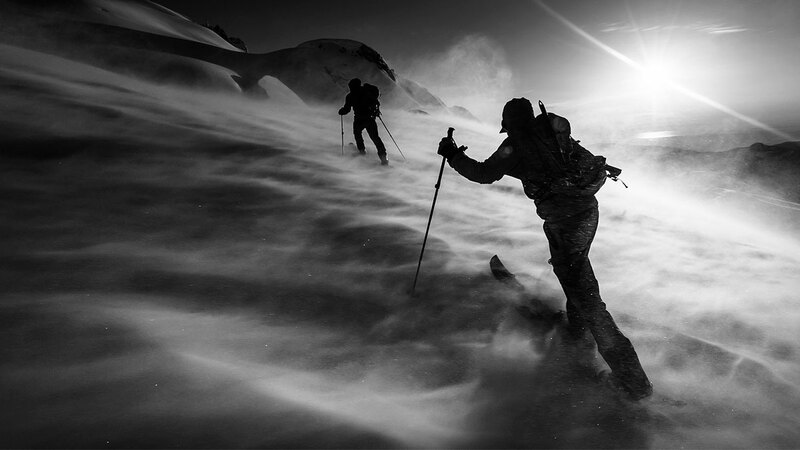 Roger Kerr has been predicting the imminent rise of the NZD for almost all of the time that the currency has been descending since the beginning of winter. Until we get a higher high, we are continuing the descending trend. There have been a few battles to try and breakout of the descending trend in the past week, with multiple rejections. Yet another lower high... stay tuned to see whether we get the next even lower low. He lacks deep understanding of fx movements. The NZD is a boat that is floating in a USD ocean, so concentrating on NZD "fundamentals" is always going to be a poor forecasting tool. It's a bit like all the analysts that have been calling for stocks to crash for the last 7-8 years. They only look at one or two dimensions and then make predictions accordingly. A bit like global warming models that barely acknowledge the sun as a key variable. Quite funny really. Roger does his best. As do we all. Yes, some people's best is better than others, but we all try to do our best. Well, most of us do.The RBNZ forecasting comment was fair enough. They were out by miles. Makes you wonder who all those overpaid people really are and what country they work for. Come on RBNZ. Plus or minus 0.1% at most. It's only quarters. To me the mistake Roger makes is to think to much about NZ as the driver of the NZD. The main driver is global liquidity, this is easy to see if you get our bigger cousins in view at the same time, so I always like to look at CAD/USD and AUD/USD at the same time as NZD/USD. They usually move together, in which case what happens here is not the main driver. I find the trick is getting them onscreen at the same time. Australian bank shares being ditched by institutional investors, generally a sign of market view on the prospects of an economy's future. AUD and NZD will have no where to hide. bank capital ratios will be put under increasing pressure as the fallout from the housing market exuberance gathers pace on both sides of the ditch. So what does a bank need to do in order to top up their capital reserves? Aside from offering better TD rates, if they can’t entice enough depositors or they have a bit of a mini bank run do they go to the reserve bank and borrow the difference at the OCR? I take it this isn’t ideal because paying the RB 1.75% is an external drain whereas paying depositors interest tends to accumulate in the bank (self feeding)? Bit of a noob question I know but I’m not big on this banking business. Here's your quick 1-4 options for a bank facing funding issues... It is diluted but happy to answer any further questions. 1. Issue their own bonds, these institutions are long term companies and pension funds will often seek the security of a bond issued by a bank which will typically pay a higher premium than a government bond or Gilt (as they are referred to in the Brit sense of a government bond). That's the simply put 1-4 options of a crisis in the banking sector.